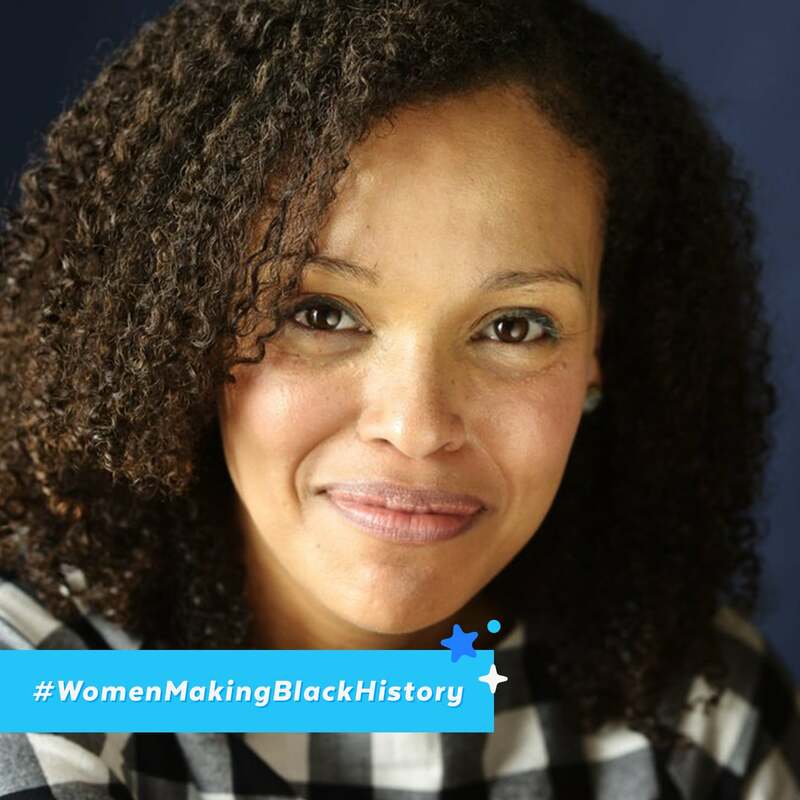 Novelist Jesmyn Ward has assumed the great responsibility of depicting the joy and beauty of black life. Widely regarded as one of the most important American authors writing today, Ward, at just 40 years old, is a two-time National Book Award winner. 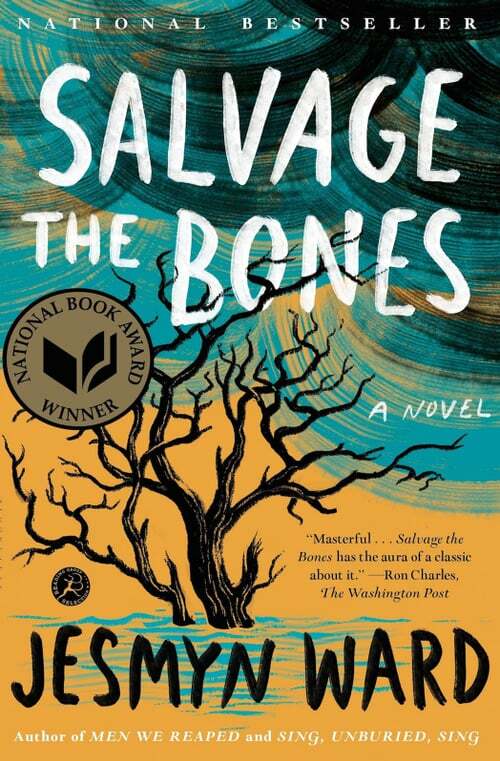 She first took home the honor in 2011 for Salvage the Bones, and her latest novel, Sing, Unburied, Sing, earned the honor in 2017. In both narratives, she commits to honoring the people and places she found absent in literature while growing up in DeLisle, MS. Her portrayals of young black men and women are multidimensional, emphasizing their contributions to American society — beyond their pain and suffering. As I interviewed Ward, I quickly realized she is determined to make black people proud, always communicating our collective worth and conveying a vast range of dynamic characters, settings, and experiences that exist within our culture. We, in turn, are strengthened by her steadfastness, humility, and authentic interpretations of who we are and strive to become. It is through her storytelling that Ward challenges us to confront the realities of racism in the rural South. Her astute observations do not overshadow the virtues and sheer endurance of blackness in America. And it's an awareness we need now more than ever. 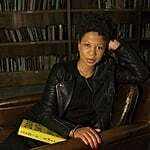 Ward, like her literary predecessors Toni Morrison and William Faulkner, is thoughtful and concise, offering a pivotal examination of race and disenfranchisement. She wants the reader to question and evaluate the social systems and cultural ills that plague our society. Most importantly, she wants black people to be beam with pride and celebrate our existence. And that's exactly what I do every time I enter the world of her beautiful novels. "I feel a certain sense of responsibility to write about the people that I write about, to write about the community that I write about, and then just to write about poor, black people in these worlds." Glory Edim: What did you read growing up? 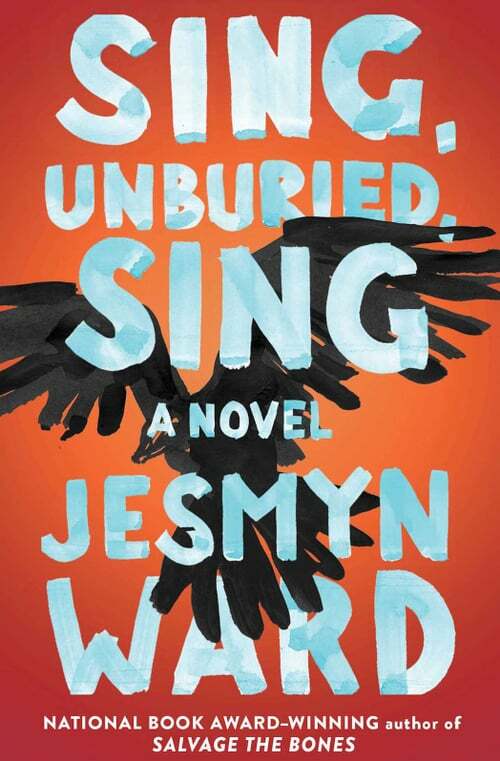 Jesmyn Ward: I grew up poor and we didn't have money to necessarily buy books. And the only opportunity that I would have to buy books — because I lived in the country in Mississippi —was basically when the Scholastic Book Fairs came to my school, which is once or twice a year. But even then, my parents didn't have a lot of money. So I would check all the books out of the library. I felt I was very lucky because my elementary school actually had a small but pretty well-stocked library. I found myself drawn to books about fierce girls. GE: As I was reading Sing, Unburied, Sing, I couldn't help noticing parallels between your work and the books of Toni Morrison. How do you carry the weight of that comparison? JW: It's a huge honor, but, yeah, it definitely is a really heavy comparison, and it scares me a little bit because she's Toni Morrison. She's a legend. It's a comparison that always makes me wince a little bit, because in my head, I think that my immediate response is [laughter] — I would never compare myself to Toni Morrison. I can't believe you're saying that. So, yes, it's a very flattering but very awkward comparison. GE: How do you see yourself carrying on a legacy of black women writers? What responsibility do you feel to that legacy — and to black women out there who read your work? JW: I'm just trying to be the best writer that I can be. I feel a certain sense of responsibility to write about the people that I write about, to write about the community that I write about, and then just to write about poor, black people in these worlds. I think the reason that I feel that responsibility [is] because these are the people that I was born to. These are the people that I grew up with. These are the people that make up my family. I see, at times, how hard their lives are — and how difficult their lives often are — because of who they are and because of what they've been born to. But at the same time, I've also been witness to the joy and I've also been witness to beauty in their lives. I feel a real responsibility to write about that reality, and to write it well, and to make their lives as immediate and as present and as gripping and as vividly real as I can for readers. There have been so many amazing black women writers who have come before me. I feel a real responsibility to work hard on my craft so that I can tell these stories and uphold my portion of the conversation. This ongoing conversation that I'm having with these women who have come before, women like Alice Walker, women like Toni Morrison, women like Zora Neale Hurston . . . just all the women who have come before, who have written, produced, and told amazing stories. I am just trying to do my best. Because they feel like my mothers; they feel like my literary aunties, and I want to make them proud. GE: Why do you think sharing the black experience is important right now? JW: You have to tell your story. I don't think there's one thing that is important for black writers or black artists to explore, but I just think that it's the multiple stories that arise out of our experience. Whatever that story is that the writer is obsessed with, or that the artist is obsessed with, I think it's just important to tell that story, period. Especially because we're always pushing against that impulse . . . coming from the larger sort of American, white American experience; a culture that wants us to just be quiet and wants us to adhere to whatever their ideas about our experience are. Just in telling our stories, [we] push back against that. For me, that's what's most important. There are multiple writers and artists out here who are doing the work and getting their stories out there and pushing back the narrative that others want to write about or have about us. "The act of reading outside of your experience increases empathy. It broadens our understanding of humanity and our ideas about who we are and about what we can be." GE: Several of your books are based on your hometown. How has your community embraced your success? JW: In the kind of community that I come from, the things that I was doing — not many of my peers were doing those things. And so I'd always heard, for various reasons, from people in my community and older people in my family that they were proud of me. And what's really interesting about now is that I'm hearing it from people who are my age and who are younger than me. People will come up to me and say, "I'm so proud of you." And it makes me think about the reasons that they say that, right? And what's underneath that and what's at the heart of that. My understanding of it is that my success gives them hope, right? That they also can follow their own dreams and find success and not necessarily have to live the same lives that their parents lived. Everyone is really proud of me and they buy multiple copies of my books [laughter], and they show up to my events. I'm really grateful to them because I grew up in this really small place where community and family oftentimes seem like one thing. [At my grandmother's 78th birthday party,] one woman was telling me that her mother died when she was 4 and my grandmother was one of the women in the community who became like a mother to her and took care of her and her sister. Just that experience and hearing those stories and seeing how everyone came together — I don't know, I guess it's just making me think about family, making me think about community and how that has been — in some respects, that's been the key to our survival from the beginning. I'm always thinking about history, too, right? I'm like, "How did we survive? How did we survive being brought over here and robbed of our history and our language and our religion and our spirituality and everything?" And one of the ways that we survived is that we came together in communities and we supported each other in that way. GE: Looking back, is there anything you wish you could've told your younger self? JW: I feel like I heard a lot of negative things about myself and about people like me, about black people in general. I dealt with a lot of racism and I internalized some of it. I feel like that's why I fought that innate mood that I had to create. I fought that for so long because I thought, "No one's interested; no one is going to read this; I don't have a voice. There's nothing distinct about what I'm doing; there's nothing special about what I'm doing. No one is going to be interested in reading this because I'm black, and because I'm poor, and because I'm a woman." I wish that high-school me could have just a glimpse of the future . . . just have someone push back against that narrative, push back against what I was hearing from everyone, right, that I could never work and I could never do this. Because I think that would have begun my work a little earlier, that I would have fought those feelings of worthlessness. And I would have claimed this for myself and really begin learning how to read and write earlier because I would have gotten through all of that bullsh*t.
GE: What gives you hope for the future of representation in literature? JW: I hope that writers who are marginalized for whatever reason — whether it's because they're women, or because they're women of color, or because they're people of color, or whether they're queer writers, or because they're writing about the immigrant experience, or whatever reason — I hope that publishing becomes more inclusive. And that it begins to recognize that these writers are telling universal stories. That's my hope, that the industry realizes that people often want to read outside of their experience. The act of reading outside of your experience increases empathy. It broadens our understanding of humanity and our ideas about who we are and about what we can be.